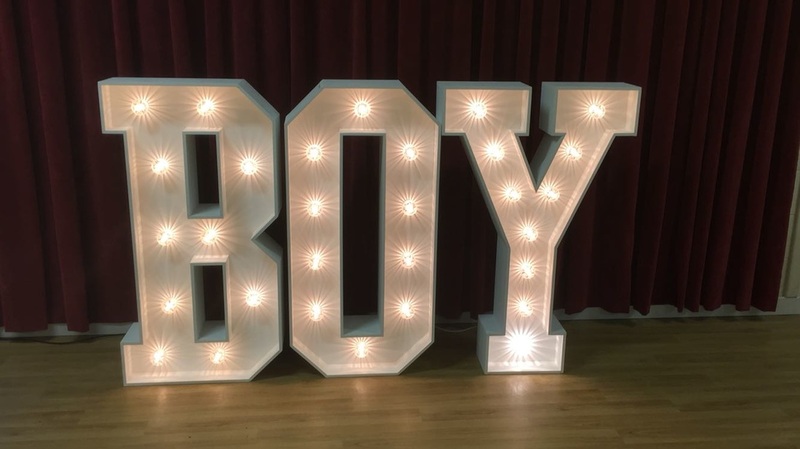 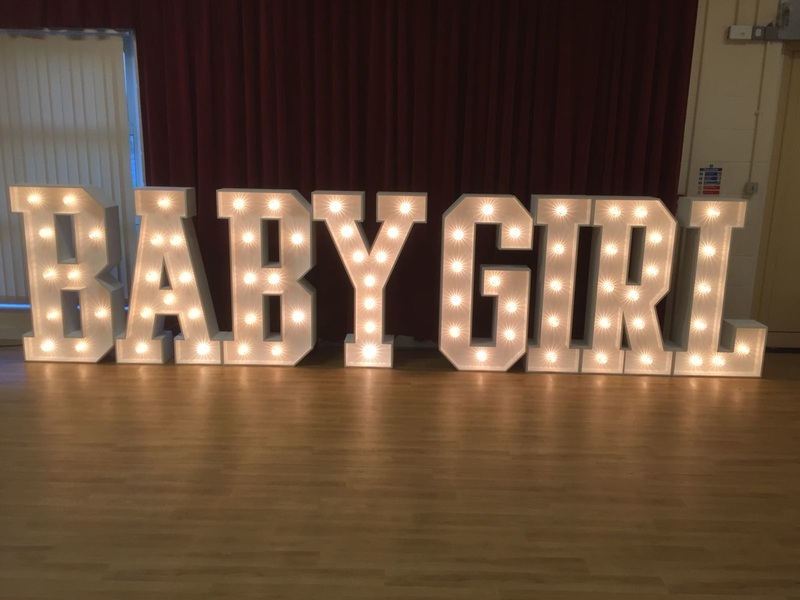 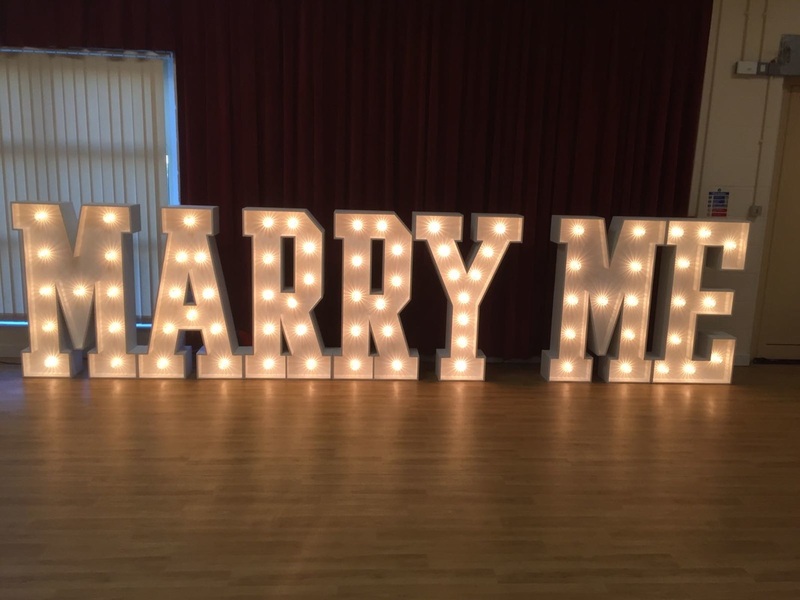 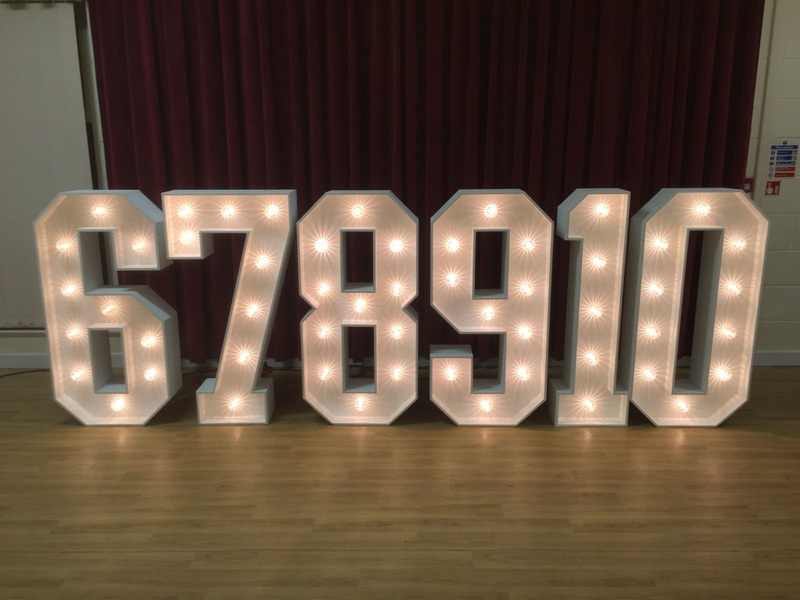 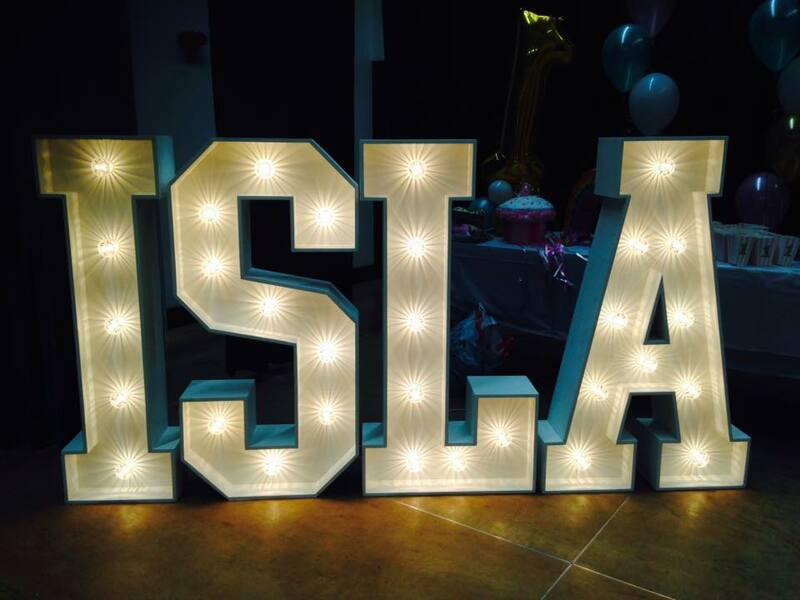 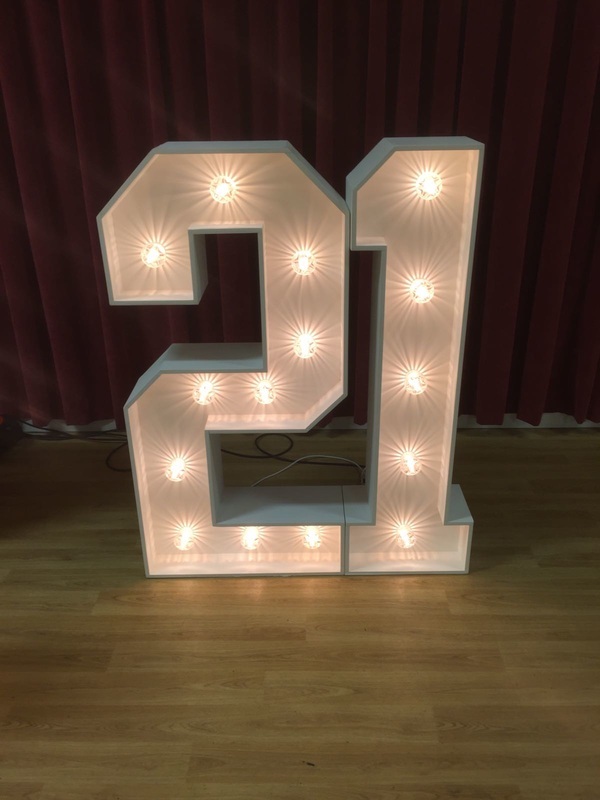 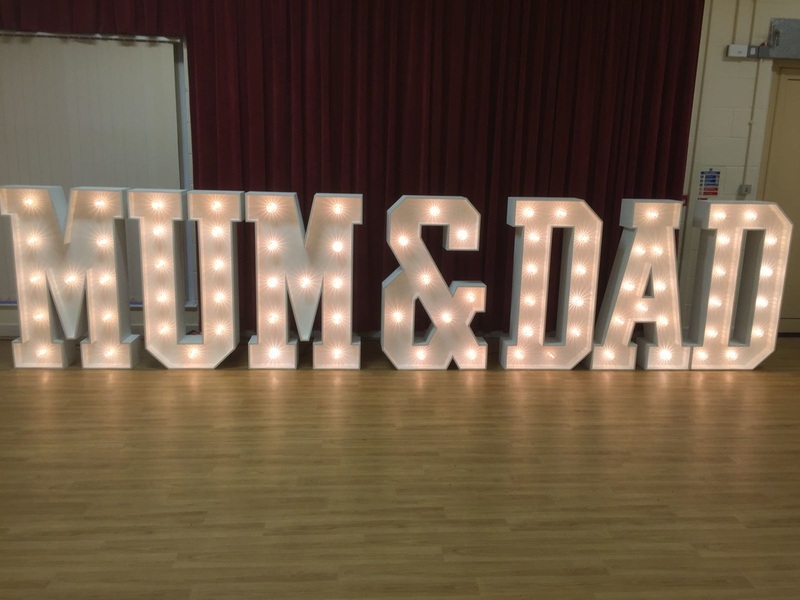 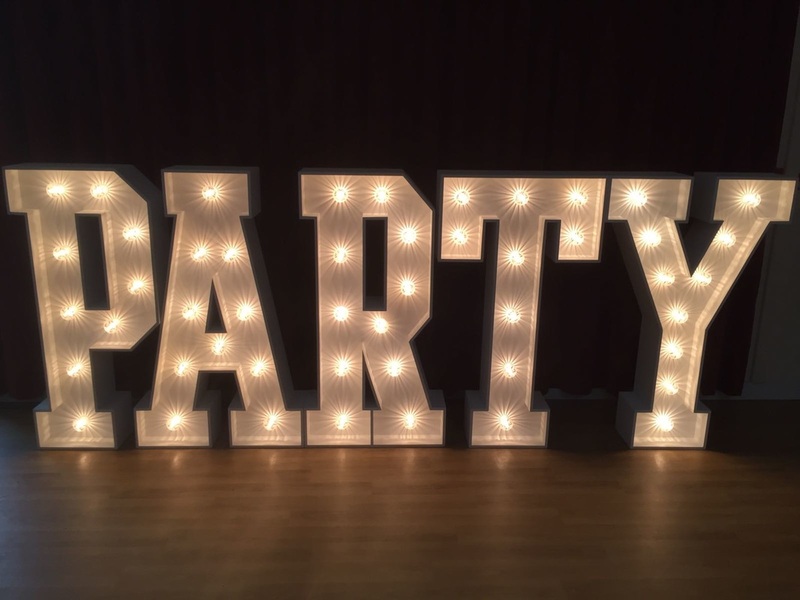 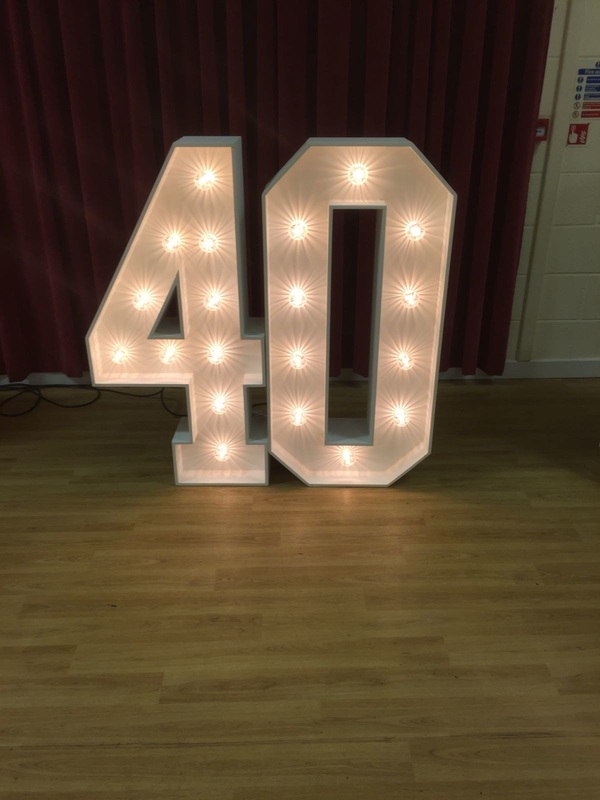 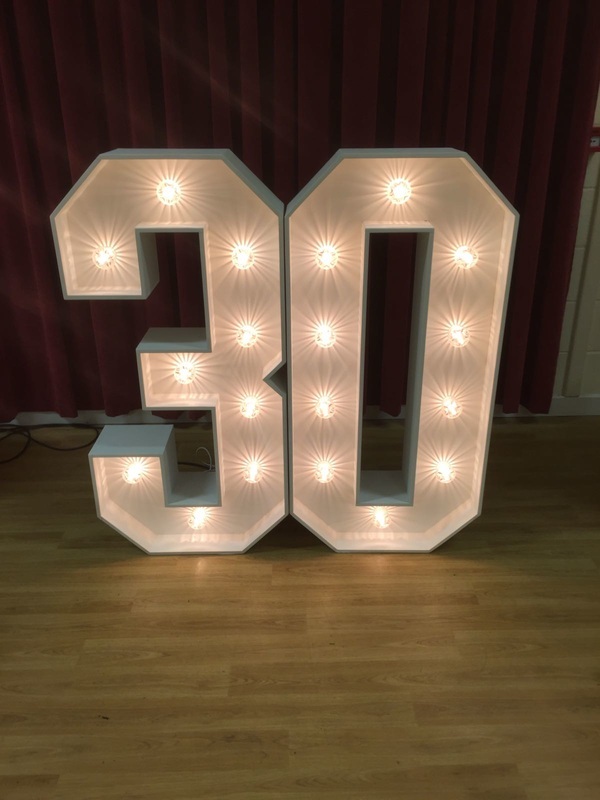 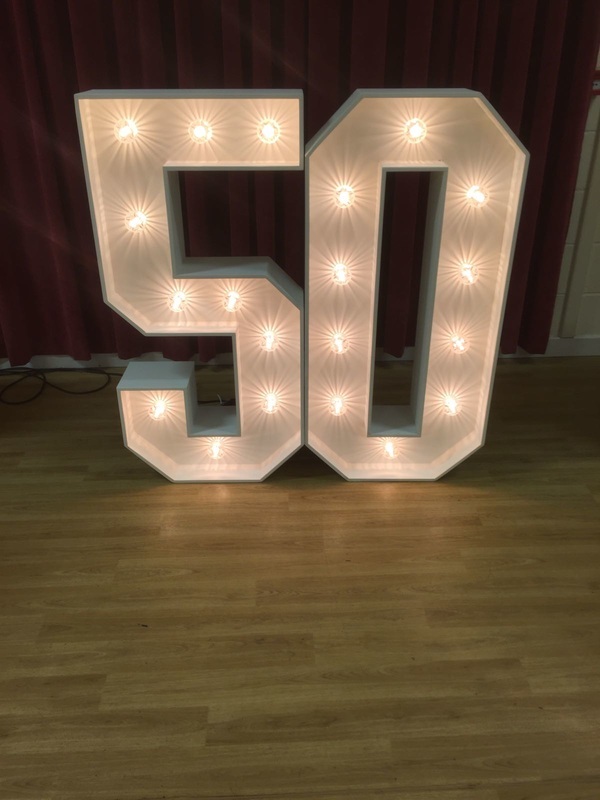 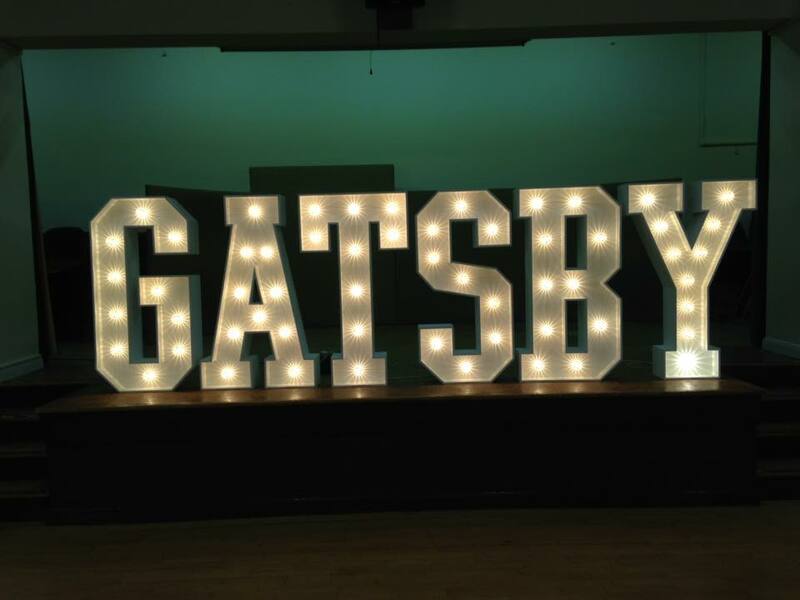 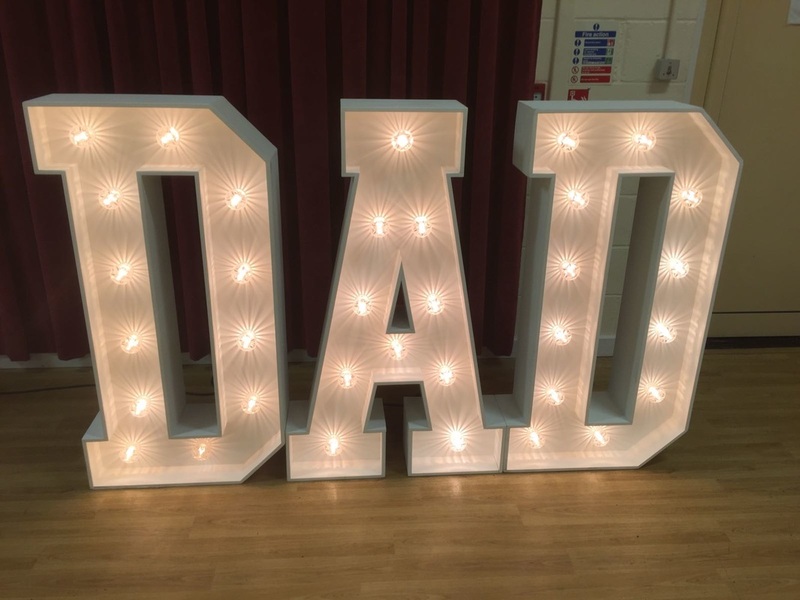 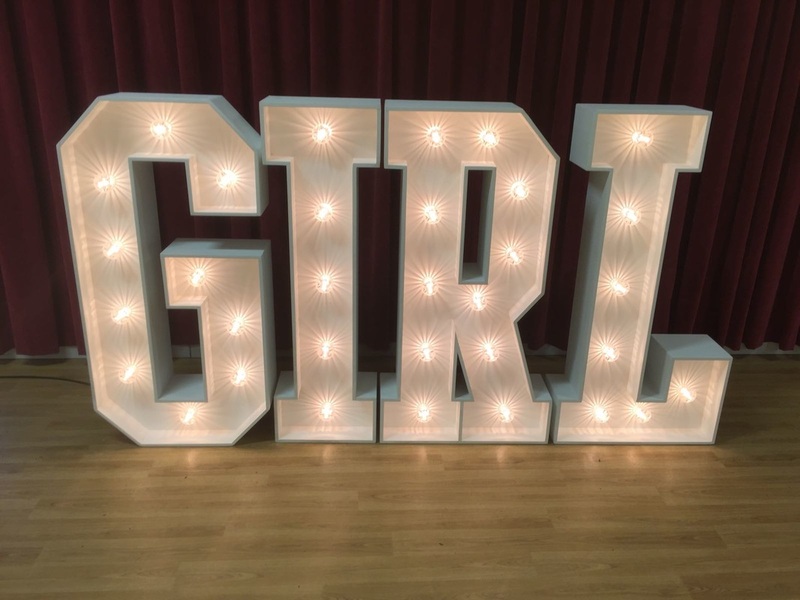 Make your party stand out from the crowd with our 4ft Light Up Letters - We can supply any Letter and number combination or Customised Wording. 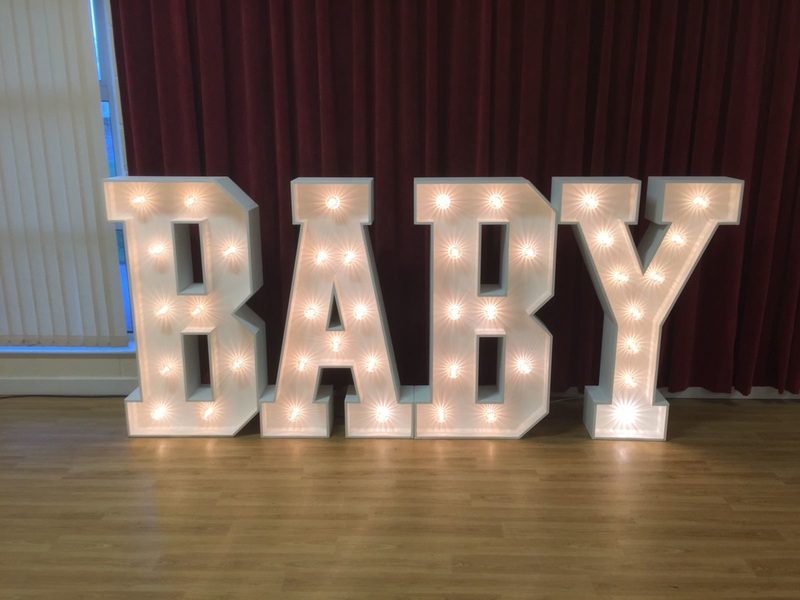 Our new props are perfect for Birthdays, Weddings, Christenings, Proms, Bar/Bat Mitzvahs or Corporate Function. 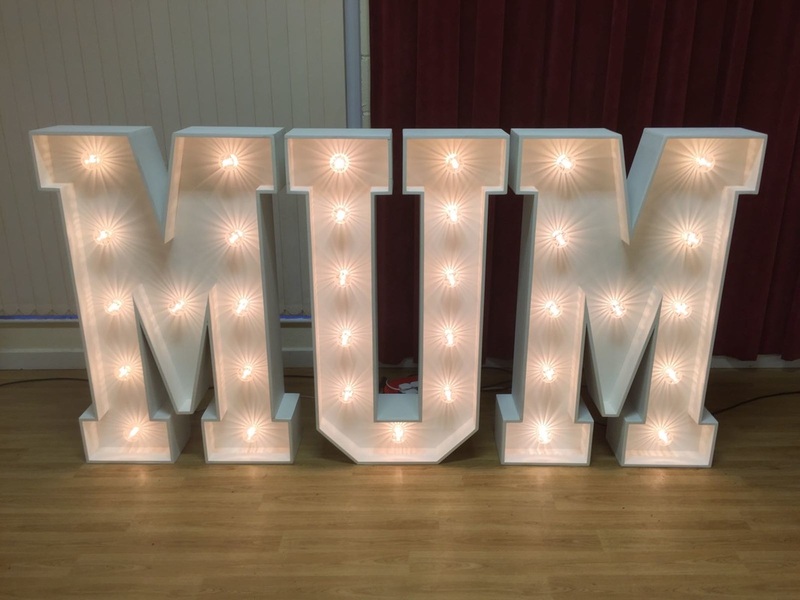 We have an extensive range of letters, Numbers and symbols enabling us to create any word and Initials. 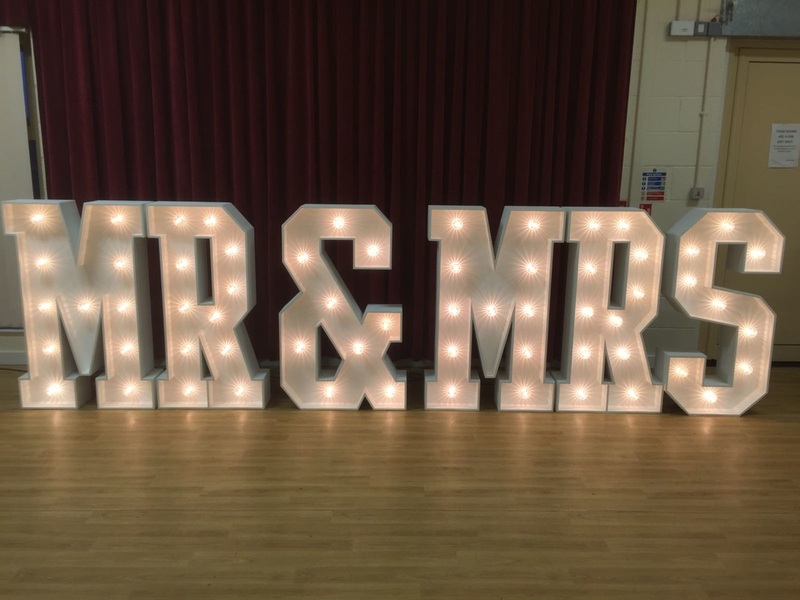 If there is something you need and its not listed please let us know. 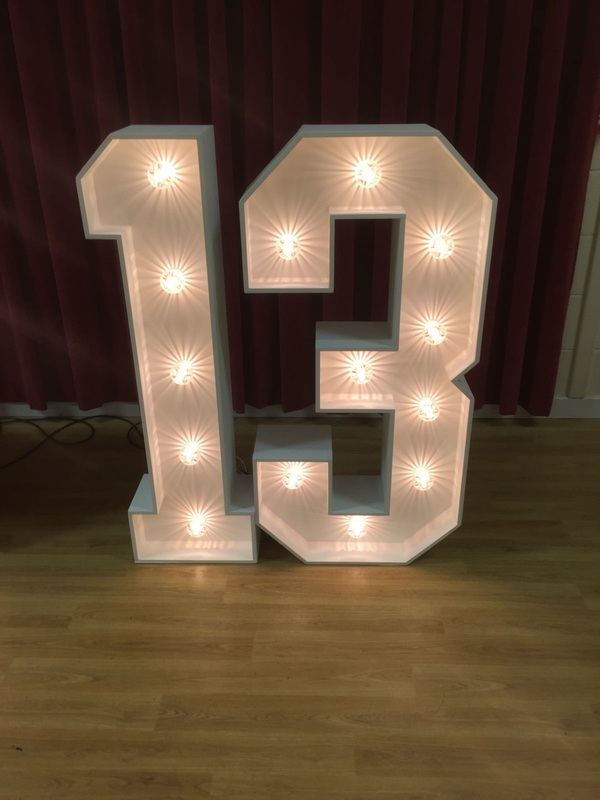 4ft COLOURED LOVE - £250 LTD ONLY - Fully equipped with RGB LED Cabochon (fairground style), Fully customisable light displays, inc 99 stages of variable speed. 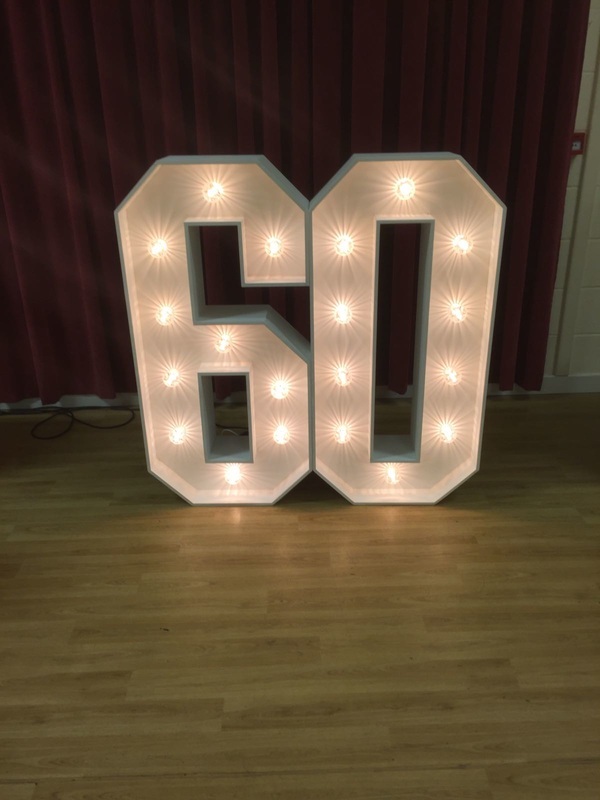 Can be set up from the controller unit on the lettering or can be fully controlled from the supplied remote control also. 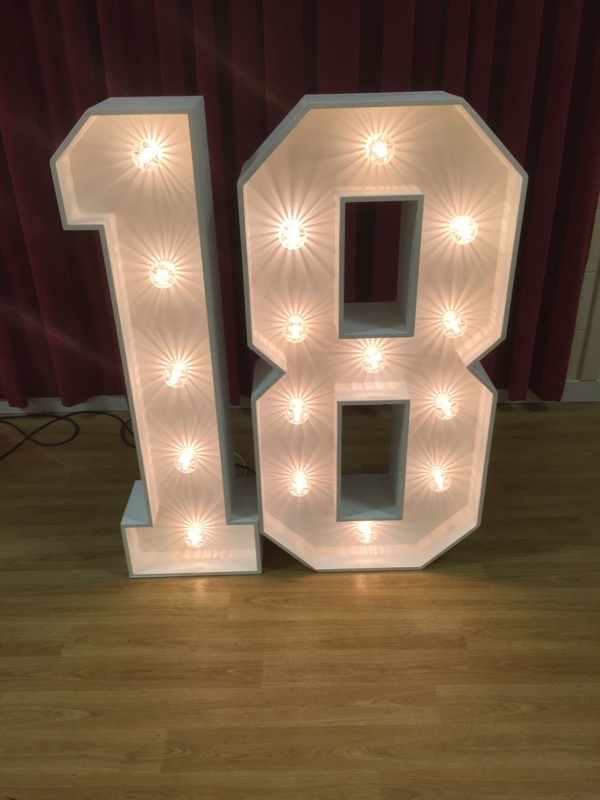 7x Static Light modes, White, Red, Purple, Pink, Blue, Yellow, Green And combo modes including:, Twinkling modes, Pulse modes, Scroll modes, Counter modes, Reverse counter modes, Central counter modes, Wave modes, Strobe modes, Fade modes, Party modes - To name just a few.